Whereas much has been known about mountain gorillas, both past and the upcoming trekkers have continuously asked several questions on how to ensure a memorable trekking experience. 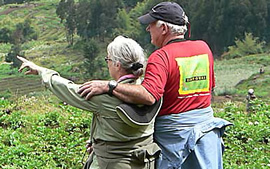 The exception of mountain gorilla trekking experience has drawn many people involving travelers, researchers, school children, and conservationists all aimed at obtaining in-depth information about the mountain gorillas. There are roughly 900-mountain gorillas surviving in the whole world, which make an encounter with these endangered species a remarkable experience for all travelers. How much is a Mountain gorilla permit? 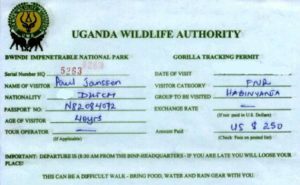 Concerning the cost of a gorilla permit, each country i.e Uganda, Rwanda and the Democratic Republic of Congo has a different cost for the permit. For the case of Uganda, a permit costs 600usd, Rwanda at 1500usd and 450usd in the Democratic Republic of Congo. However, regardless of the difference in permit costs a trek in any destination is unique in its own way. 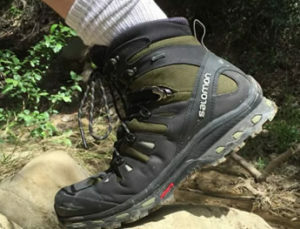 Accessing the permit at a discounted rate is an advantage for budget trekkers helping them to save some money for other purposes. Since mountain gorillas live in the tropical rain forests with slippery and muddy grounds, the dry season is the best time for trekking. This is between the months of June to September and then December to February. However, gorillas can be trekked in the wet season to make the trip more adventurous and memorable. Similarly, trekking in the wet season is cheap since permits are discounted to a cheaper rate. What is the trekking time? In regards to trekking time, it starts in the early morning after a simple briefing by the park rangers/guides. Once the trekking begins, there is no specific time to spend in the jungle but vary depending on the movements of gorillas and where they slept the previous night. This means that fortunate trekkers can meet the gorillas in a short time as 30 minutes or else as late as 6 hours if not the whole day. 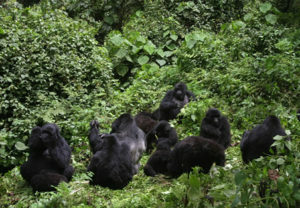 However, whether it takes short of a long time, trekkers are 99.9% sure of meeting the gorillas. Having only 900 mountain gorillas surviving in the whole world, many people have continuously wondered where these endangered species reside. Mountain gorillas dwell in only two destinations, which are Bwindi impenetrable forest national park in Uganda and the Virunga conservation area shared between Mgahinga gorilla national park in Uganda, volcanoes national park in Rwanda and the Virunga national park in the Democratic Republic of Congo. This means that for one to encounter the endangered species, he or she must visit one of the two destinations. The permit is an inclusion of the park entrance fee, the money for the park rangers who guide during the trekking and other services in the national park except for the accommodation. This means that a permit covers the park entrance and the money for the Rangers. What is the age limit for trekkers? Only travelers aged 15 years and above are allowed to trek mountain gorillas. It’s a mandate that everyone below the age limit (15yrs) cannot be allowed to trek even when he/she has paid or has traveled with a group of other trekkers. All travelers are advised to read carefully and understand all the above frequently asked questions about gorilla trekking and get appropriate answers before confirming any gorilla trip to Uganda, Rwanda and the Democratic Republic of Congo. All travelers coming to see mountain gorillas should be aware of all the above for an enjoyable and memorable experience with no question unanswered and no interest unfulfilled.